Our passion at Portlandia is to bring you the best of what Oregon’s Willamette Valley offers. We start with some natural advantages. The cool climate and coastal influences make Oregon’s Pinot Noir and Pinot Gris some of the best in the world. But producing good wine in this climate still requires an enormous effort made possible only by a very creative and talented team. We’re very fortunate to have grower partners throughout the Willamette Valley that offer us wonderful fruit allowing our team to bring you incredible Pinot, Pinot Gris and Rosé. Having grown up back east, my first visit to the Willamette Valley was mesmerizing. It was some of the most beautiful ag-land I had ever seen. A city on the mighty Columbia River at one end and mountain walls on the other three sides, with beautiful dark soil and rolling hills covered in lush green growth. How could you not be inspired to cook or try your hand at beer, cider or wine. Regardless of the season, I’m still smitten. It must have been similar for the pioneers of Oregon Pinot. Two UC Davis ag-students took the leap of faith even when professors told them Oregon would never be good wine country. In 1961, Richard Sommer planted Pinot Noir. Four years later, David Lett brought 3,000 vine cuttings including “160 cuttings of Pinot Gris taken from the only four vines they had at UC Davis”. Their theory? The best wines come from places where grapes struggle to ripen. Pinot Noir and Pinot Gris fit their theory of planting early-ripening varieties in the Willamette Valley. This fearless pursuit and determination proved what we all now know. Oregon’s cool growing season and the climate of the Willamette Valley between the Cascades and the Coast Range produces some of the world’s best Pinot Noir and Pinot Gris wines. 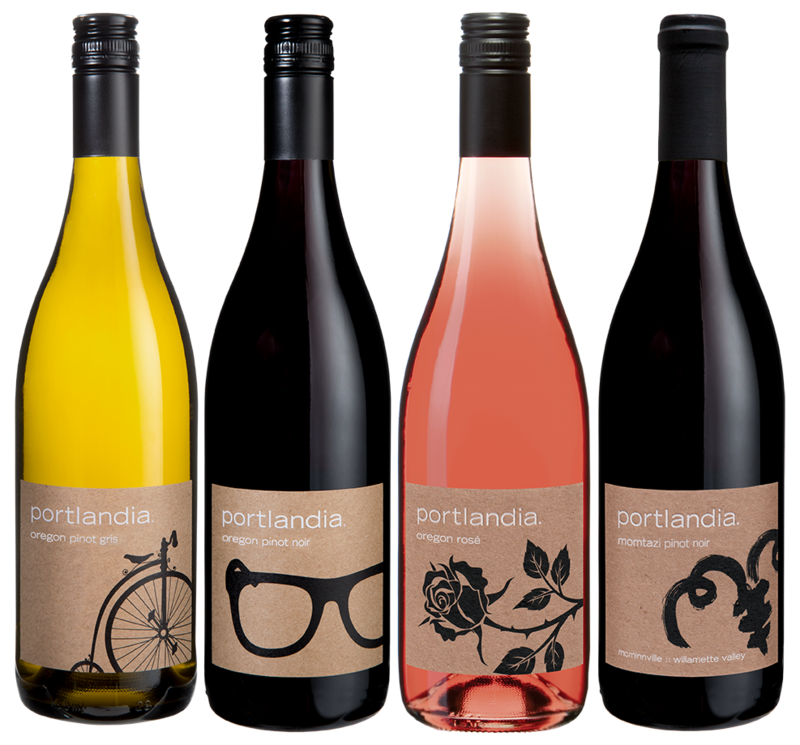 We believe our Portlandia Pinots represent the area well. We hope you enjoy them as much as we do.